particular attention to forms of “bulletproof vests,” experimenting with steel breast plates and cotton padding. The greatest shift occurs with the discovery of properties leading to the creation of Kevlar® in the 1970s. The synthetic fibre known as Kevlar® is extremely strong, while having the benefit of being lightweight. This revolutionary discovery lead to the advancement of improvements with body armor, allowing for a less restricted frame of movement while being exceedingly strong. Though the name Kevlar is synonymous with bulletproof vests, there are similar aramids used to create vests, such as Twaron and Heracron. There are various types of body armor on the market, with different levels of strength, as outlined by the NIJ. The NIJ takes care to note the difference between bullet proof and bullet resistant. Although the types of ammunition increase incrementally as the armor level goes up, as armor cannot protect against every type of ammunition, they thus cannot be called bulletproof. In fact, “an extremely small percentage of cases, a round can even go through a vest that it is rated to stop,” meaning that one must exercise reasonable precaution even while wearing a form of body armor. Although the Level IIA offers the lightest weight, and thus is easiest to conceal, it may not be an optimal choice for your protection needs. For comparison purposes, the vest most commonly worn by police officers is a Level II. Interamer offers a pretty comprehensive chart outlining the specific weapons and ammunitions each armor level will cover. As the protection level increases, so too does the weight of the vest. You should be taking that fact into account when it comes to choosing your vest – if your vest is too heavy to comfortably wear, you’ll likely forgo wearing it altogether. 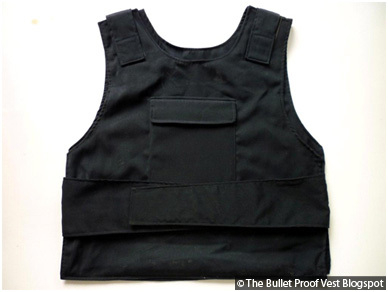 Provided you care for and wear them properly, a bullet resistant vest could end up being a worthy investment. So long as the vest is fitted properly, it has the benefit of offering additional protection in case of vehicle crashes. If you’re realistic about what a bullet resistant vest could do for you, the positives of owning (and more importantly wearing) one certainly outweigh the negatives. This entry was posted in Year Zero Survival Blog and tagged bullet proof, doomsday preppers, fema camps, fema123, military, police, protection, riots, safety, security, SHTF, survival prep, survival supplies, zombies by staff-writer. Bookmark the permalink. If our neighborhood is not a peaceful one then its better to buy body armor for ourselves. Otherwise no need, but the real use of body armors are for the policemen and the army men.